This female abstract mannequin brings a sense of high fashion to any business or retail environment. It's arms by it's side with a slightly wider stance creates a unique way to showcase your merchandise. 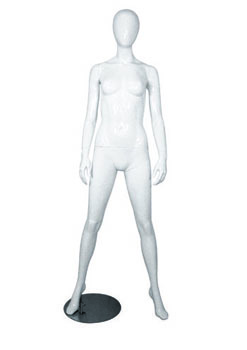 This abstract female mannequin, made of durable fiberglass coated in glossy enamel, is an economical choice to display your apparel that will last for years of constant use.